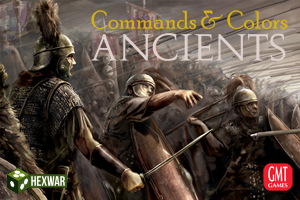 Hexwar Games has partnered with GMT Games to bring you a digital version of Commands & Colors: Ancients the board game. The game allows players to portray important engagements of ancient history. The battles focus on the historical deployment of forces and important terrain features on the scale of the game system. The scale of the game is flexible and varies from battle to battle. For some scenarios, an infantry unit may represent an entire legion of soldiers, while in other scenarios, a unit may represent just a few brave warriors. The command card system drives movement, creates “fog of war” and presents players with many interesting challenges and opportunities, while the battle dice resolve combat quickly and efficiently. The battlefield tactics you will need to execute to gain victory conform remarkably well to the strengths and limitations of the various ancient unit types, their weapons, the terrain and history. 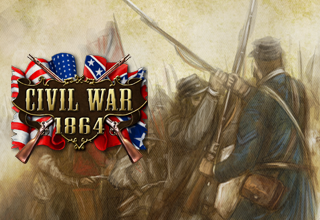 Civil War: 1864 out now on PC, Mac and Android! Civil War: 1864 is the latest addition to our Civil War strategy series, bringing you the ferocious battles from 1864. Experience the American Civil War like never before with with over 40 missions; including 20 detailed historical battles. Get a greater view of the battlefield as you lead your force to victory, with our new Map Zoom feature. 1864 saw the Union army make substantial gains against the Confederate forces in the American Civil War. Grant, replacing Halleck, took the risky gamble of attacking the Confederates on three different fronts. While Grant failed to gain any significant tactical advantage in any battle against Robert E. Lee, he succeeded at depleting Lee’s forces. 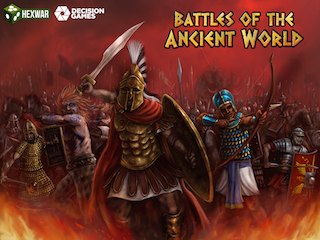 Battles of the Ancient World out now on PC, Mac and Android! The ‘Battles of the Ancient World’ game system is a tactical simulation of some of the greatest and most important battles from 1457 B.C. to 378 A.D.. Each scenario features one of these great battles and players may play as either side. Each unit in the game represents an actual unit that participated in the battle, each with an actual strength between 250 and 1,200 men. The map represents the actual terrain over which each battle was fought. The game in the series has been designed to ensure maximum playability and historical accuracy, in that order. There are over 55 different units across all the missions, ranging from elite Roman Legionaries, to Persian Scythed Chariots. Each unit has its own unique ability that you need to take advantage of in order to win each battle. 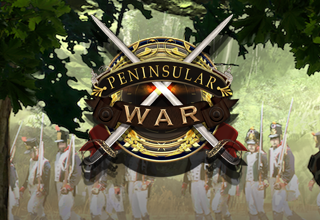 Peninsular War Battles out now on PC, Mac and Android! Peninsular War Battles places you at the forefront of Napoleon’s campaign to conquer Portugal and Spain. Play is possible as the British, French or Spanish across 5 campaigns with a total of 40 missions. Peninsular War Battles is the most advanced wargame from HexWar yet! The missions represent well researched representation of the major battles of the period with a full range of tactical options available to all the commanders. There are 64 different combat units, each in an accurate depiction of the uniforms, colours and flags of the period. The in-depth game systems allows infantry units to form line, column or square while light infantry units may skirmish in open order. Victory in most battles will go to the commander most able to utilize the combined arms benefits of infantry, cavalry and artillery to the best effect.